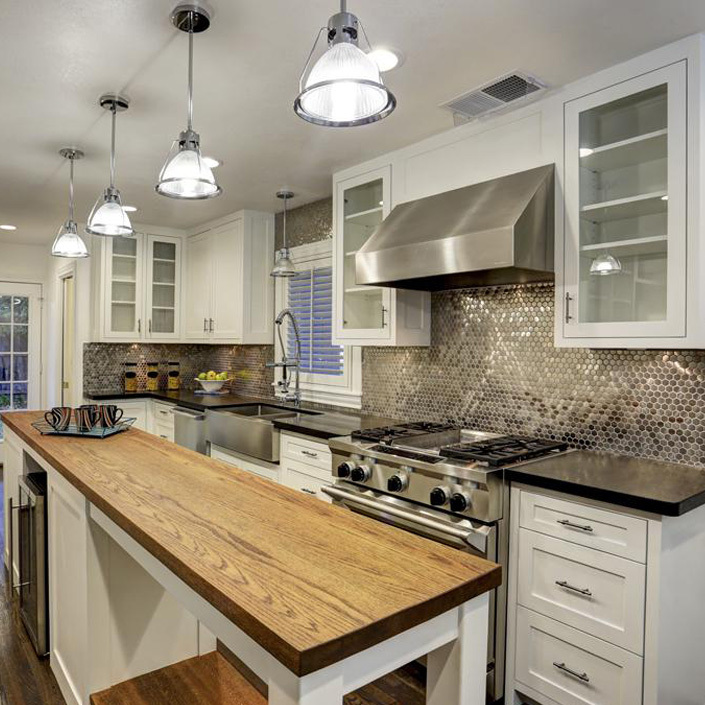 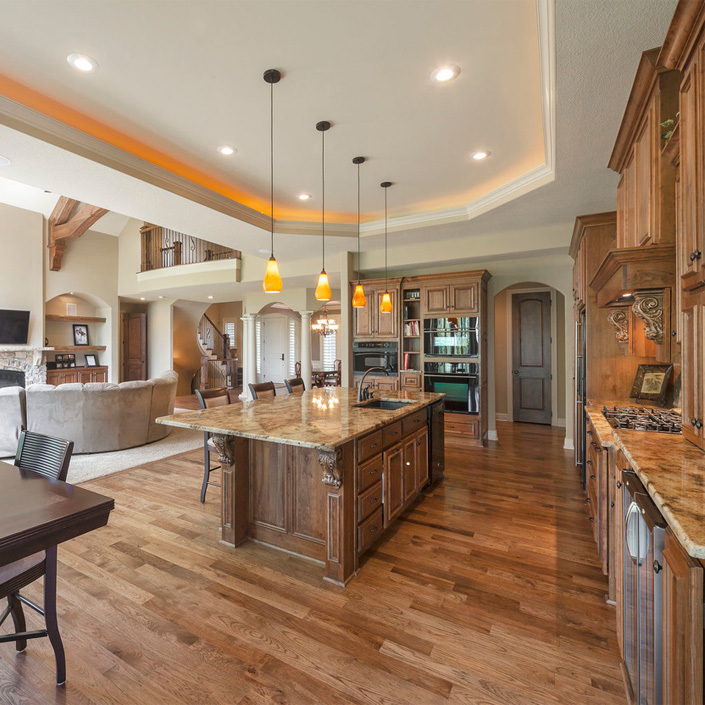 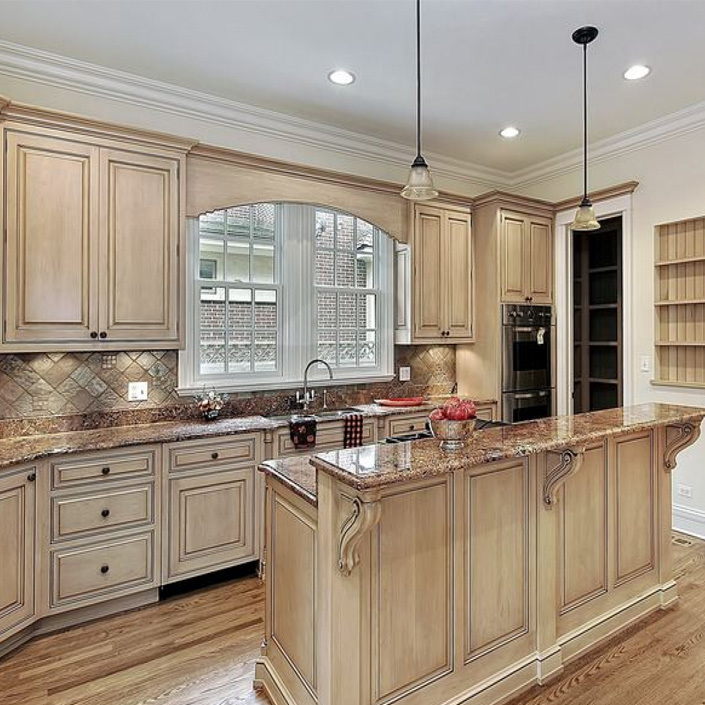 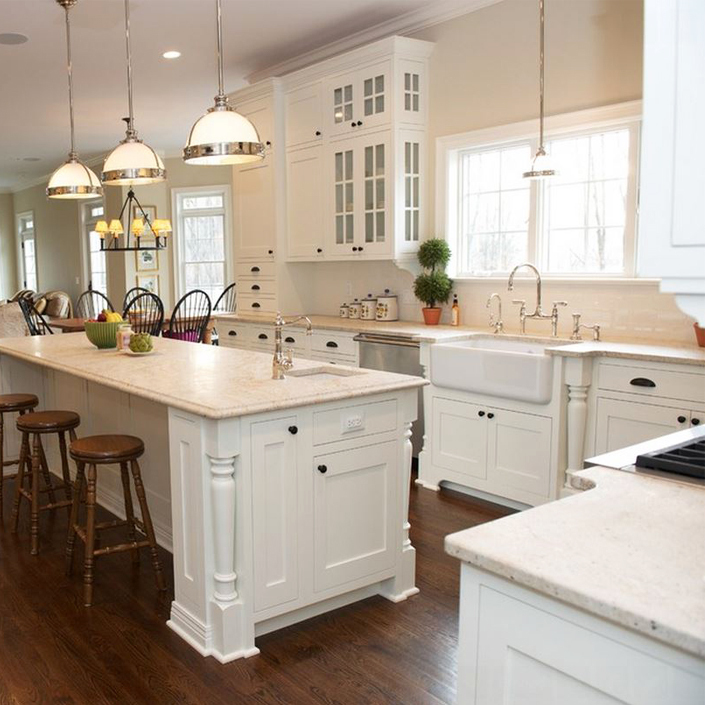 In the kitchen, there are plenty of terrific design opportunities, from floors and cabinets to island accents and floating shelves, without forgetting ceilings and ceiling beams. 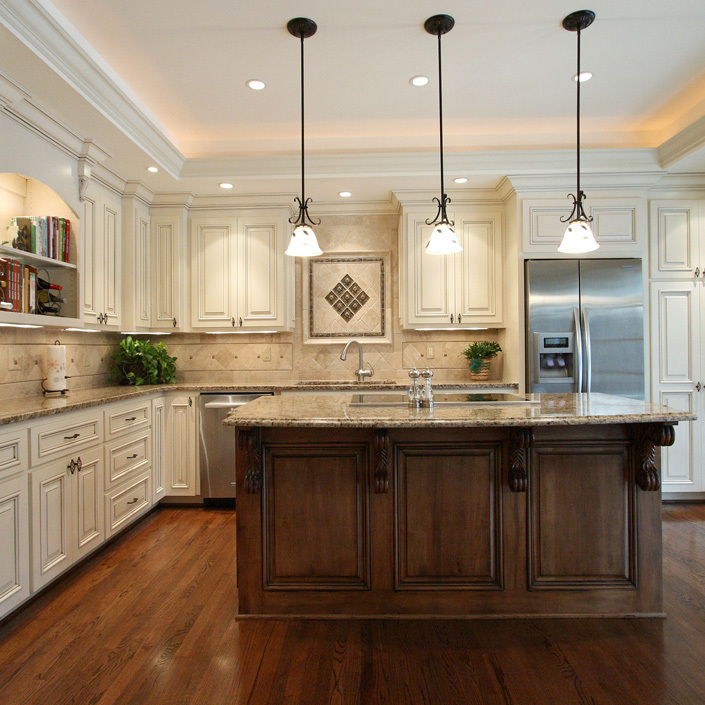 You can also add more decorative accents with furniture, accessories and light fixtures. 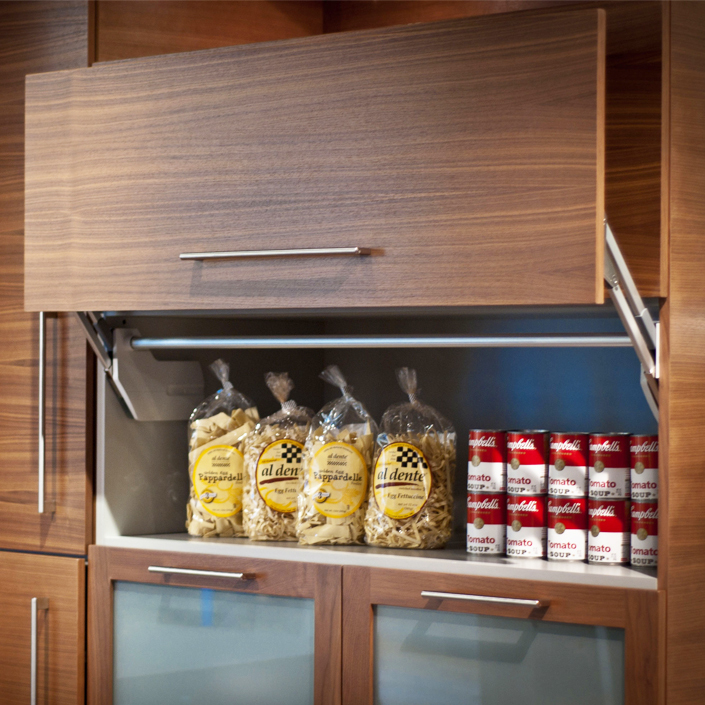 KSI Kitchen Solutions offer you the best! 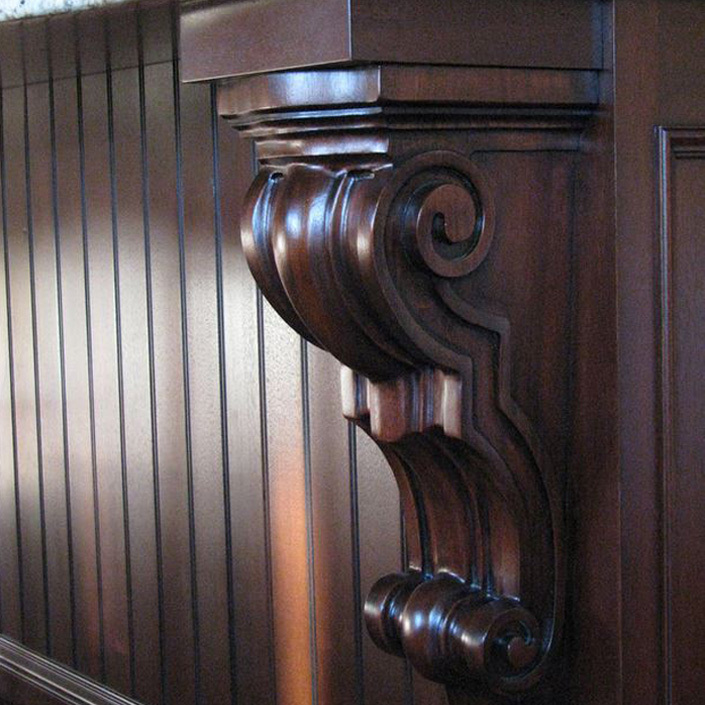 Moldings can make any project look custom-made. 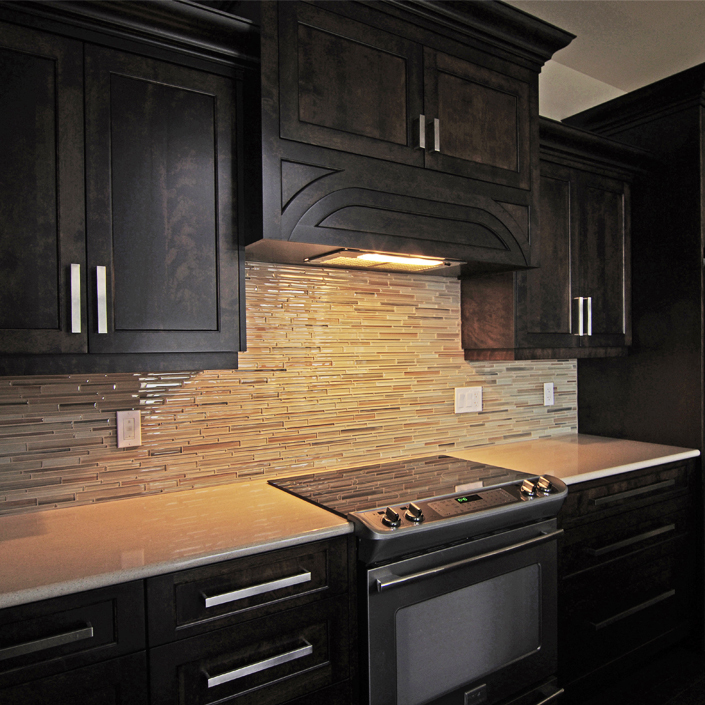 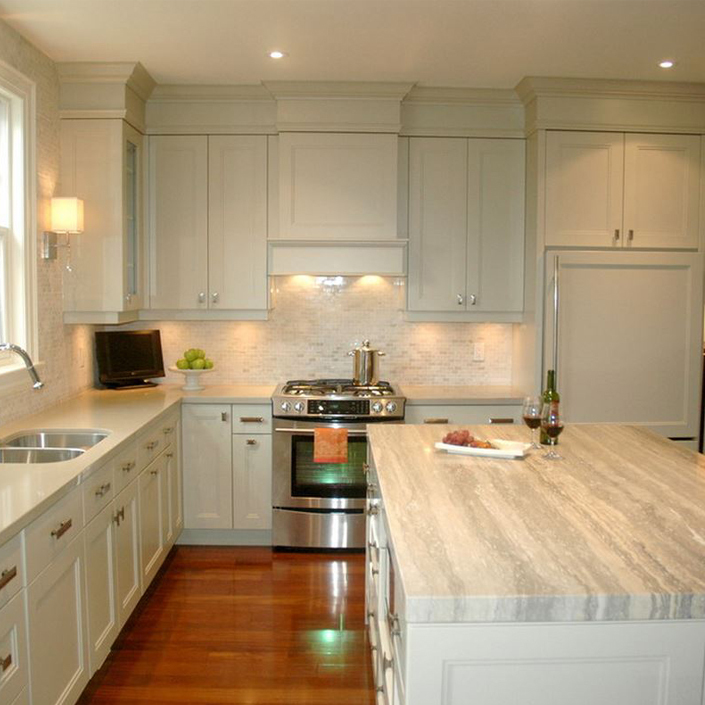 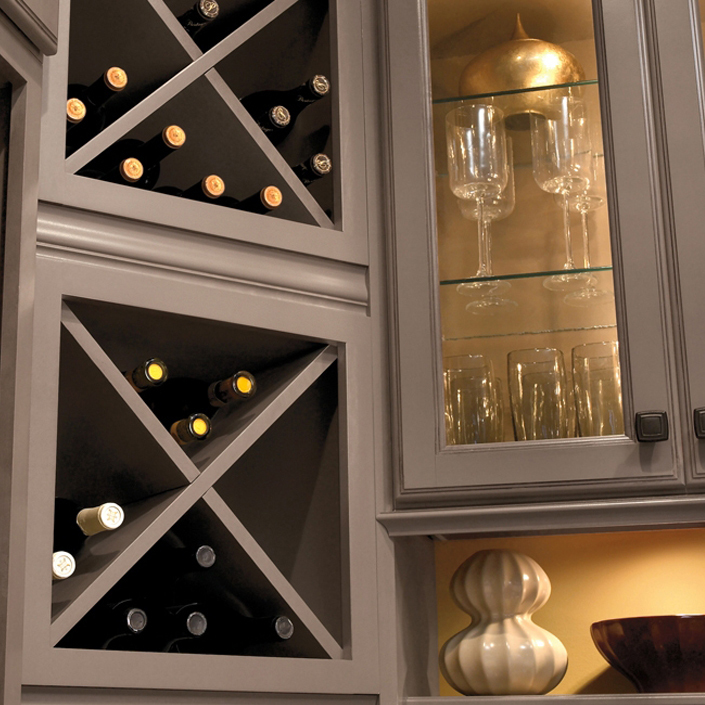 When applied to kitchen cabinetry, these architectural details can help enhance the most basic cabinet style. 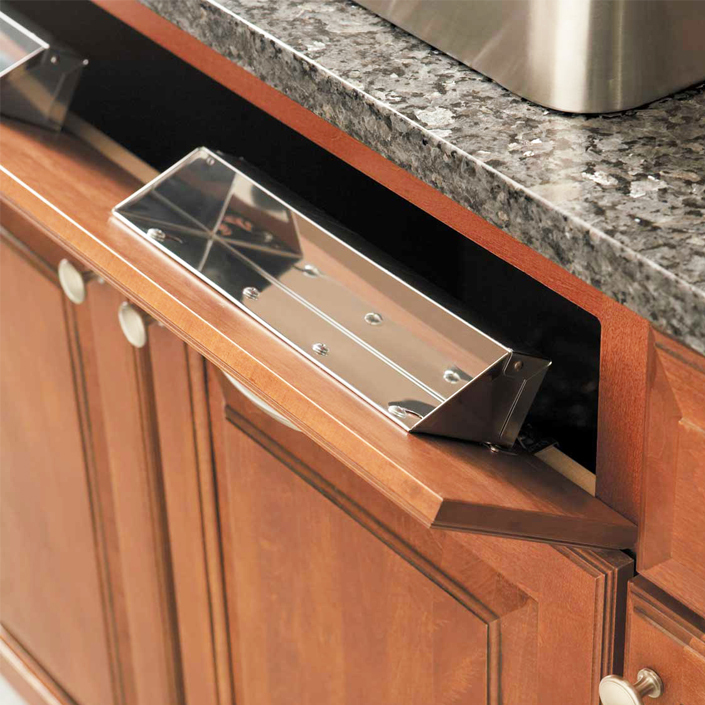 With the multitude of different configurations and designs available, moldings will help add a personal touch to any kitchen project. 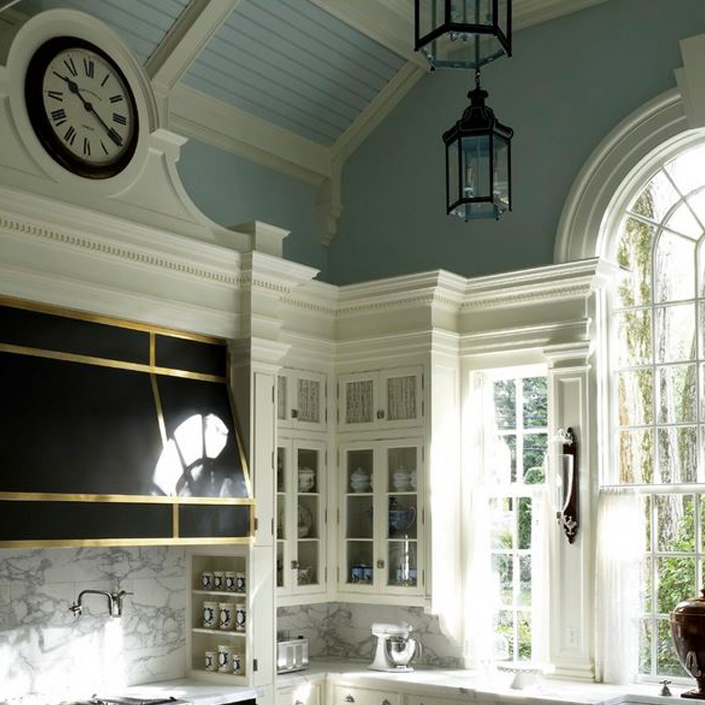 Many ceilings are too high to allow the designer to take the cabinetry all the way up, so molding becomes more of a decorative element. 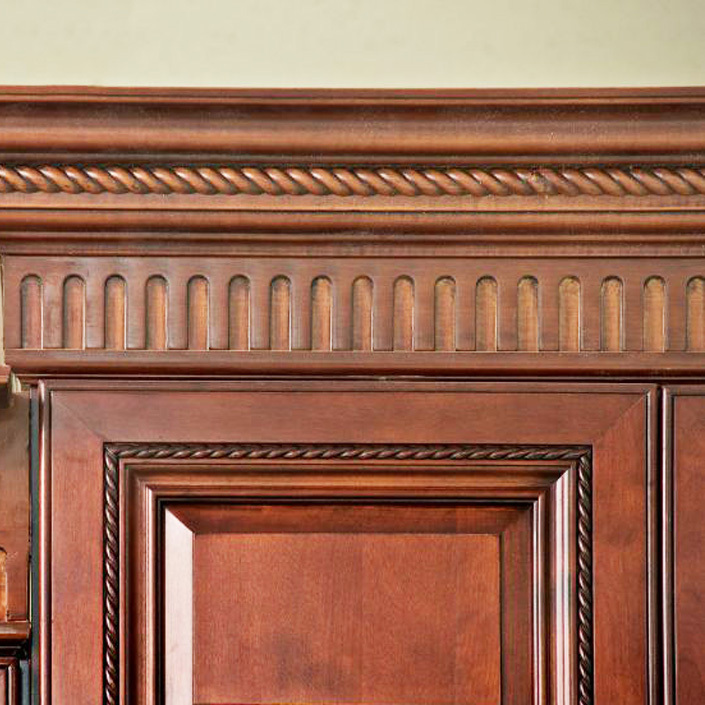 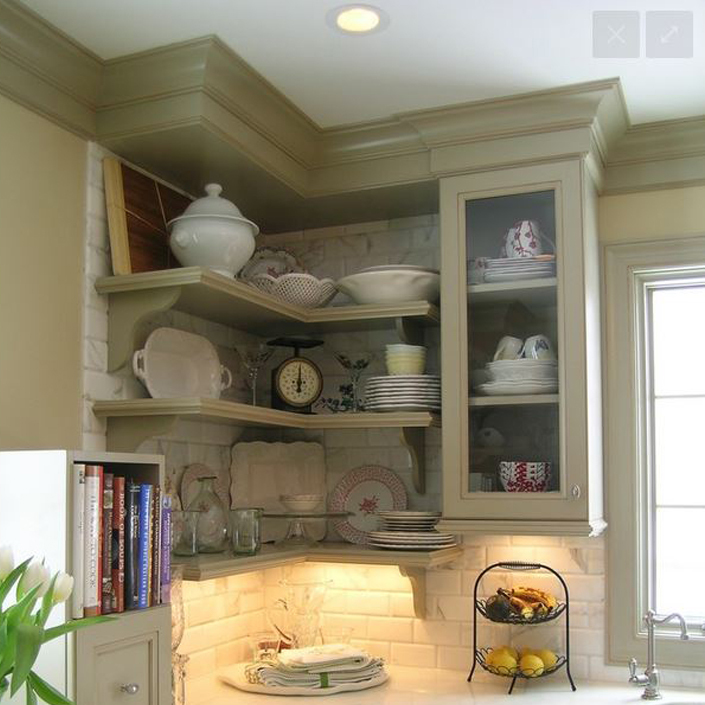 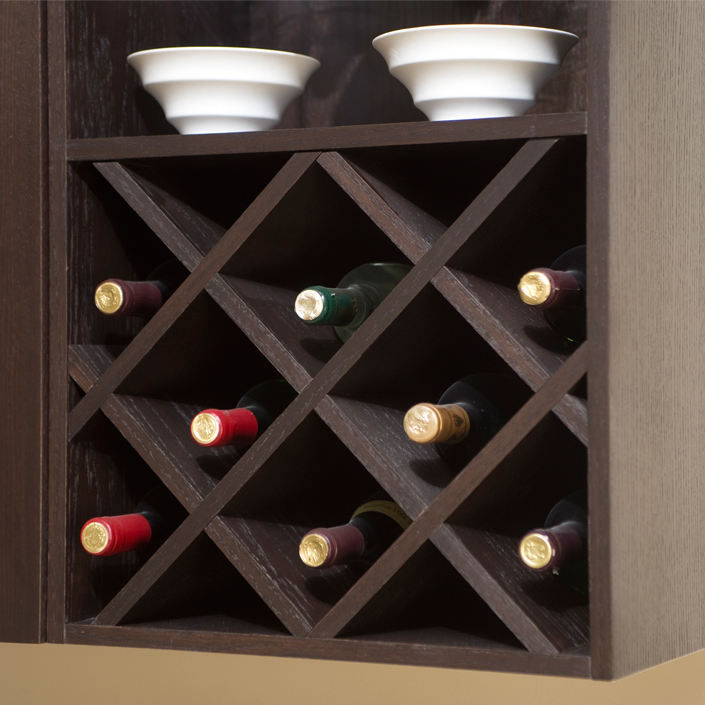 Decorative molding on open shelving not only provides a new design feature, it can also become a structural element. 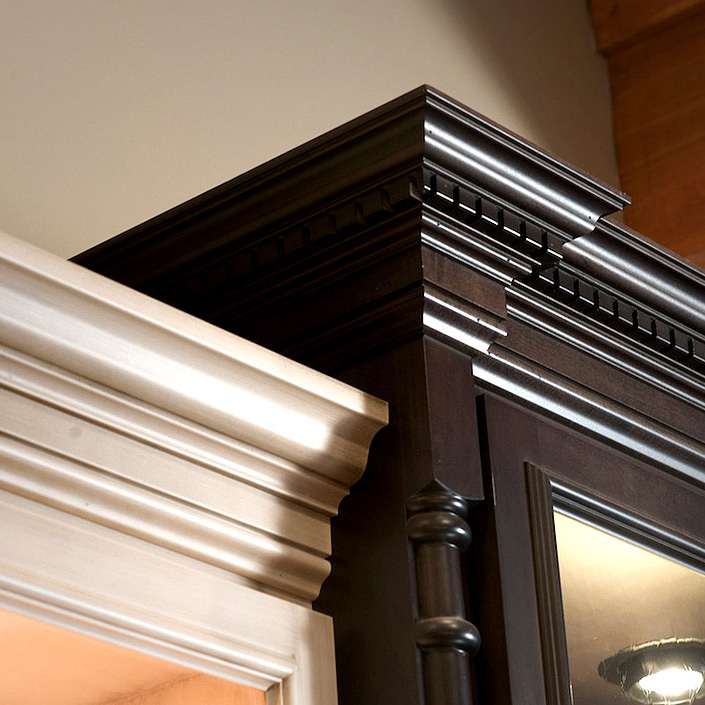 The location of each piece of molding needs to be precisely calculated. 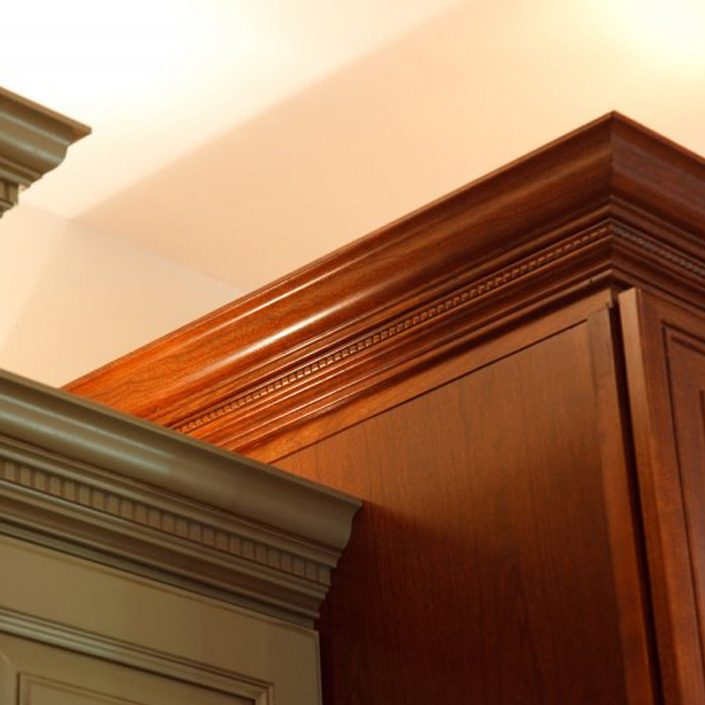 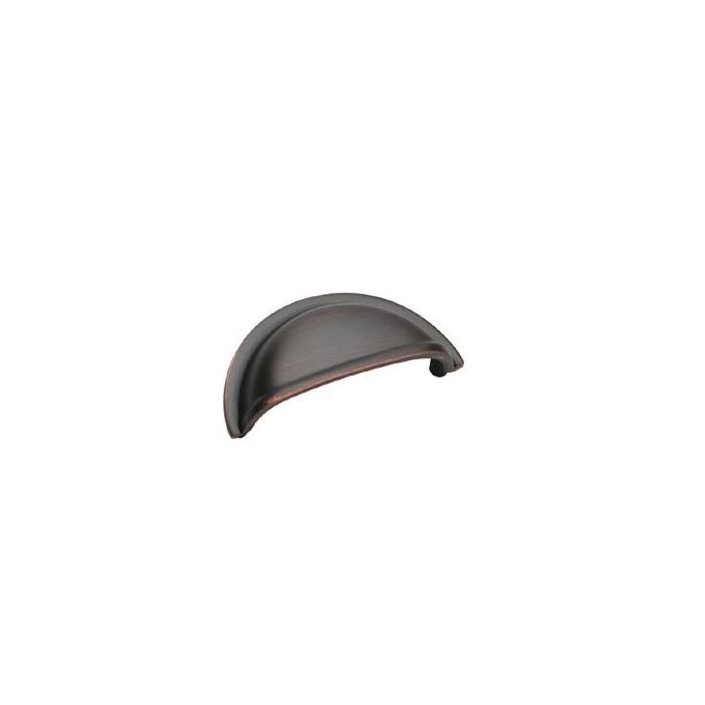 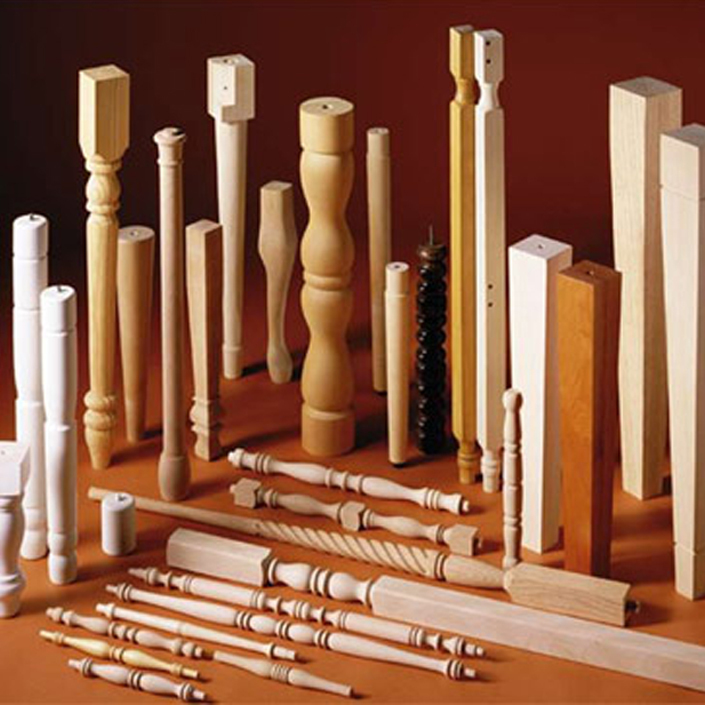 Although it seems like a small detail, applied molding creates balance and cohesion. 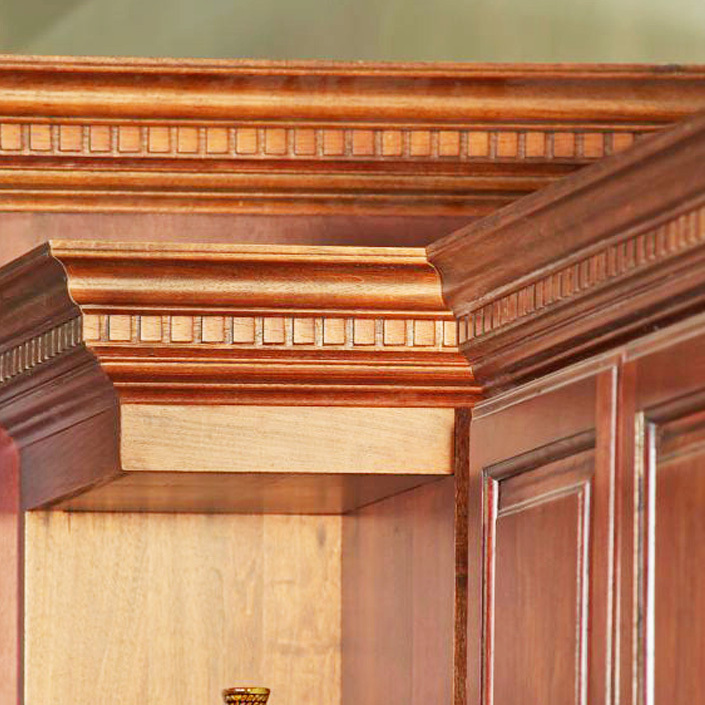 A corbel is a structural or decorative bracket positioned between a vertical wall and a horizontal surface (ceiling, counter, tabletop, roof). 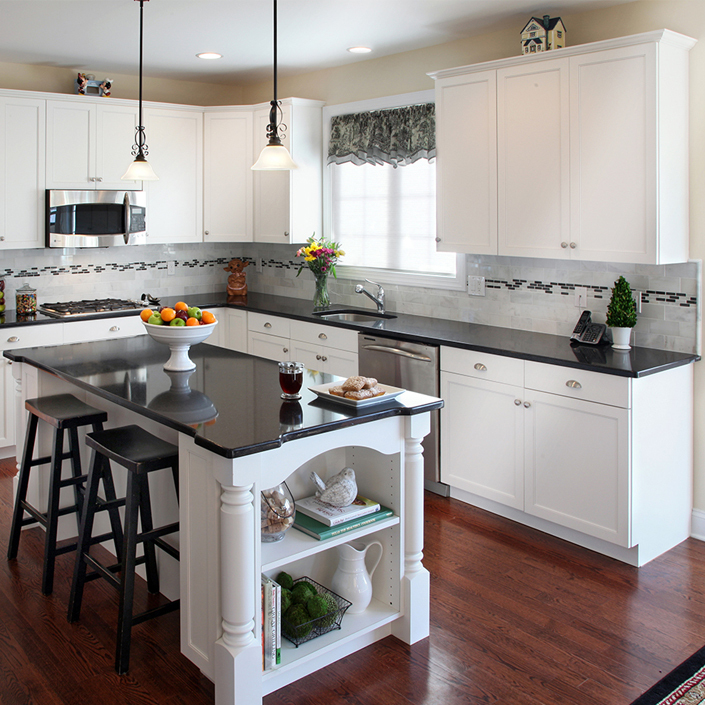 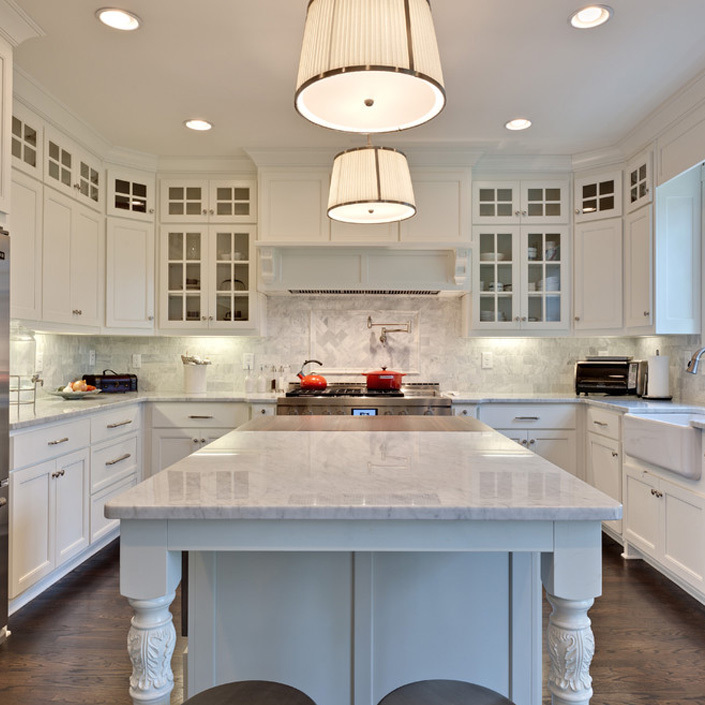 A raised-panel kitchen island has corbels that help support the weight of the marble countertop. 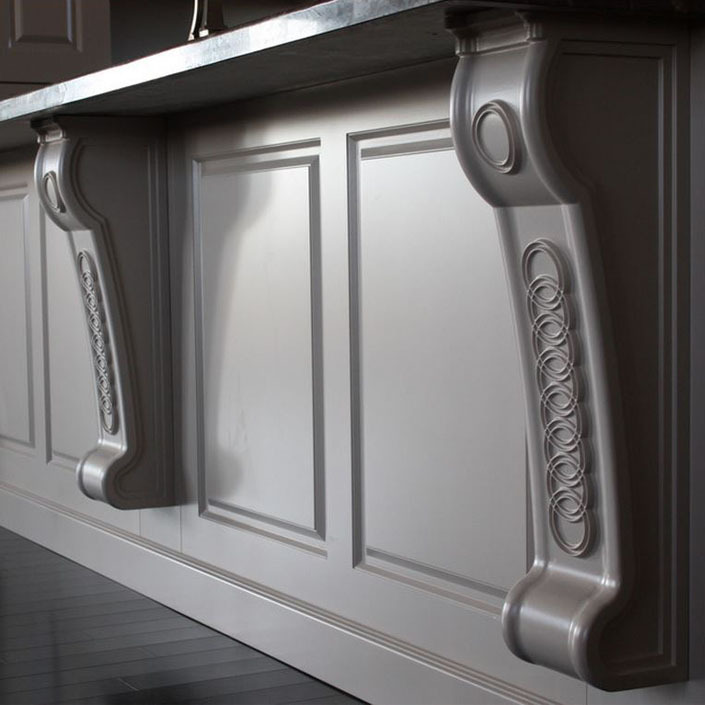 Some corbels feature scrollwork and are stained to match the breadboard panel of the kitchen island. 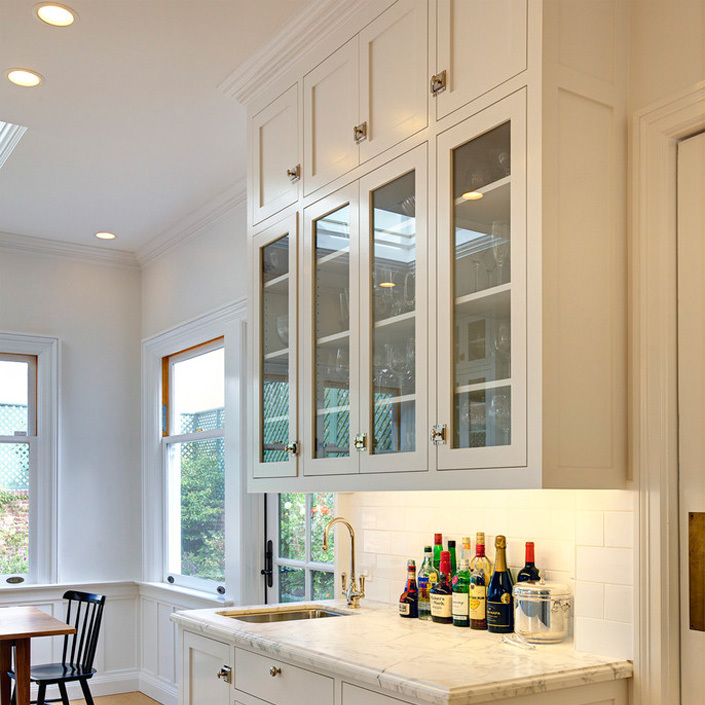 Glass-front cabinets, often used in the upper areas of the kitchen, can be turned into an attractive as well as practical focal point. 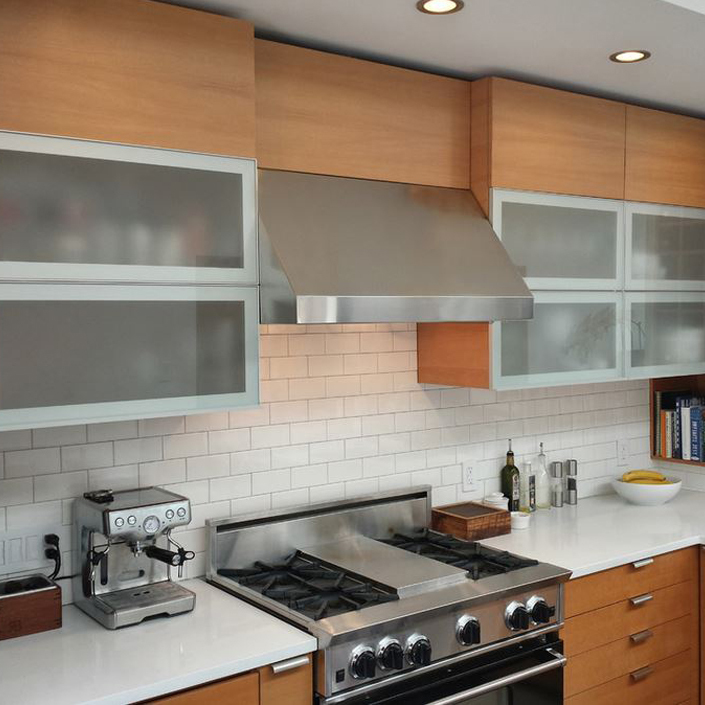 These clear cabinets can be illuminated for ambience, showcase valued possessions, store functional kitchen items and ease the transition from one room to the next. 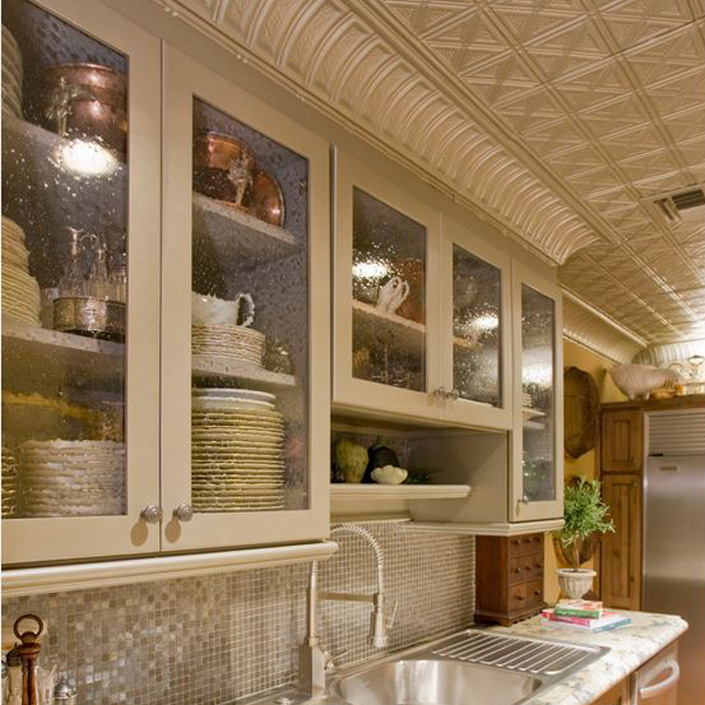 With their glass faces, these cabinets can also be decorative, displaying ornamental tableware and personal items. 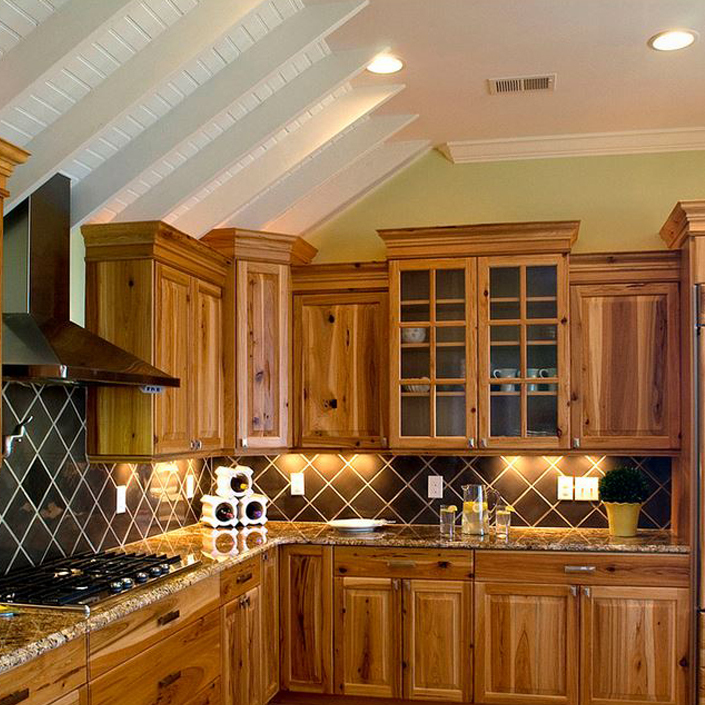 Here are a few ideas that will make your kitchen cabinets a joy to use. 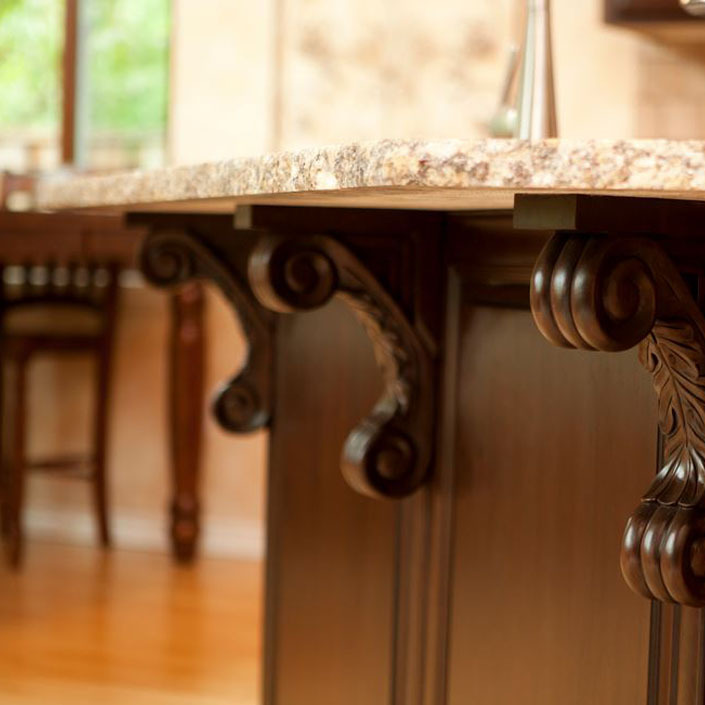 There are many details to bear in mind when it comes to ergonomics and beauty. 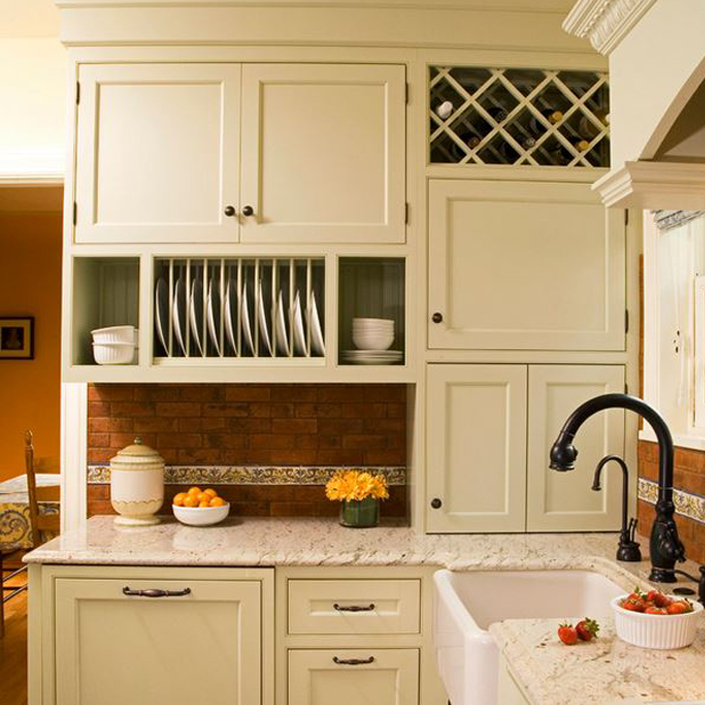 KSI Kitchen Solutions make your kitchen remarkably functional and extraordinarily beautiful with cabinetry that takes advantage of every square inch, conceals potentially messy areas and accentuates its unique elements. 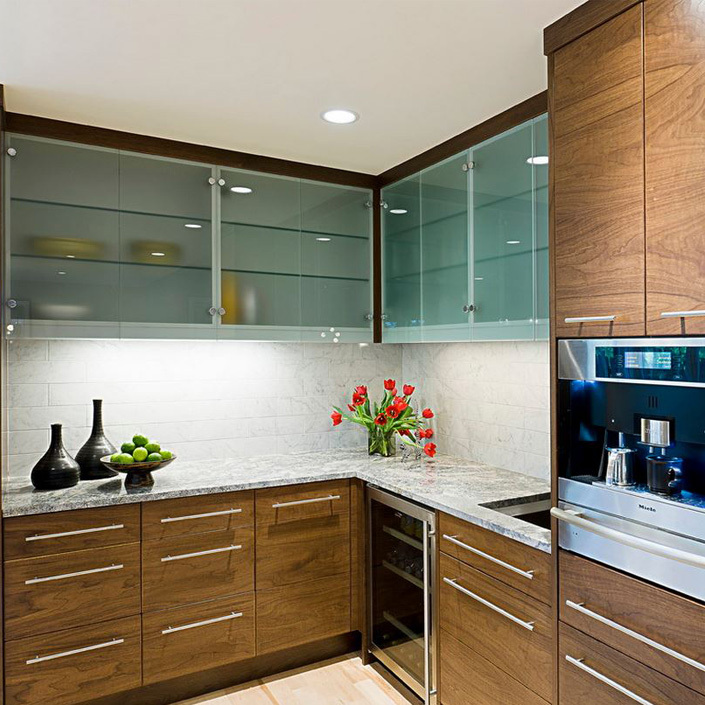 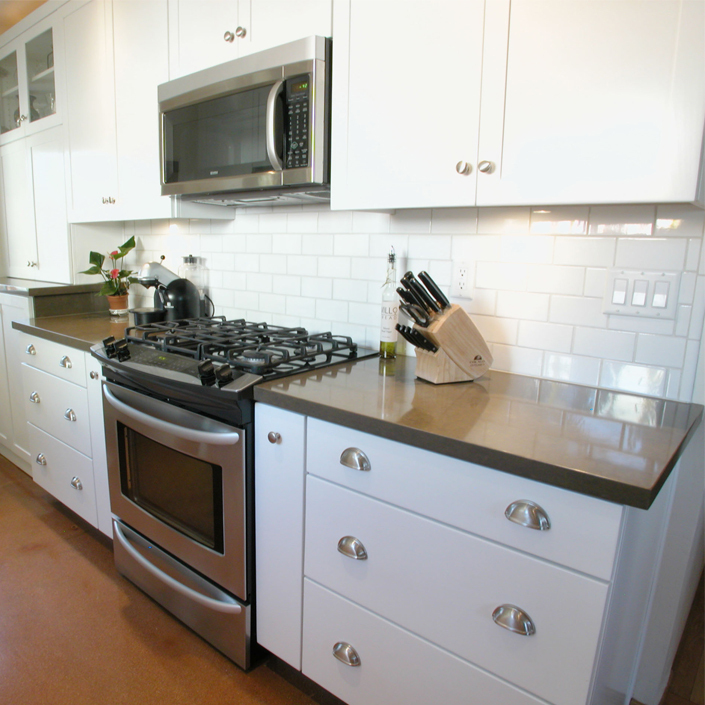 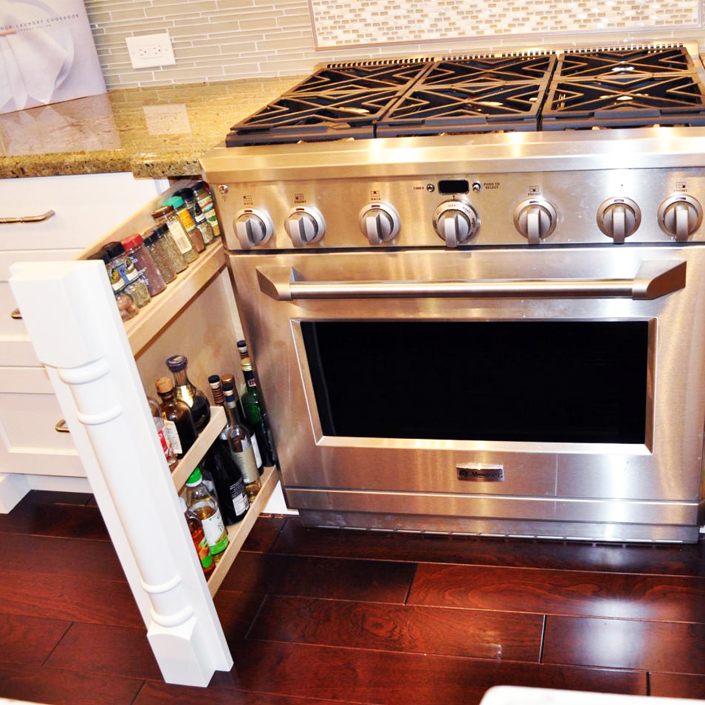 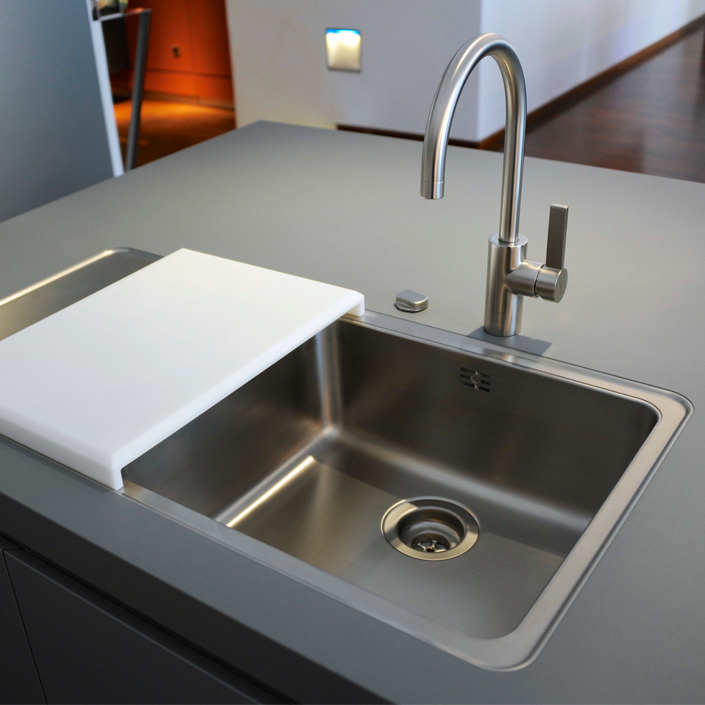 The following accessories can be used to enhance your kitchen’s design. 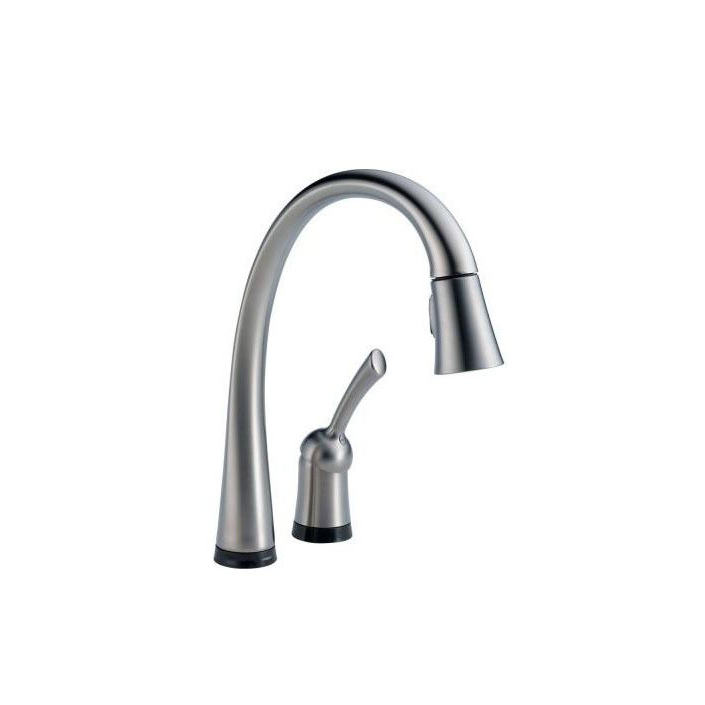 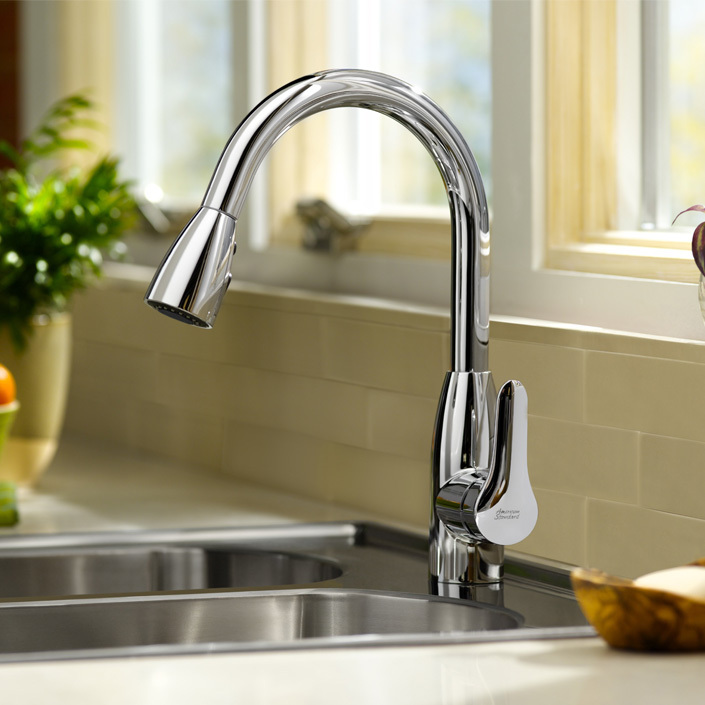 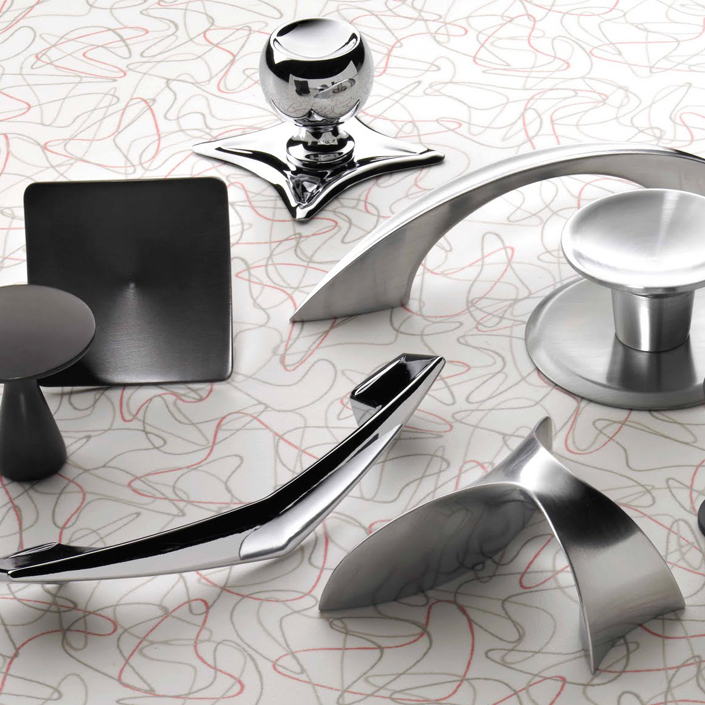 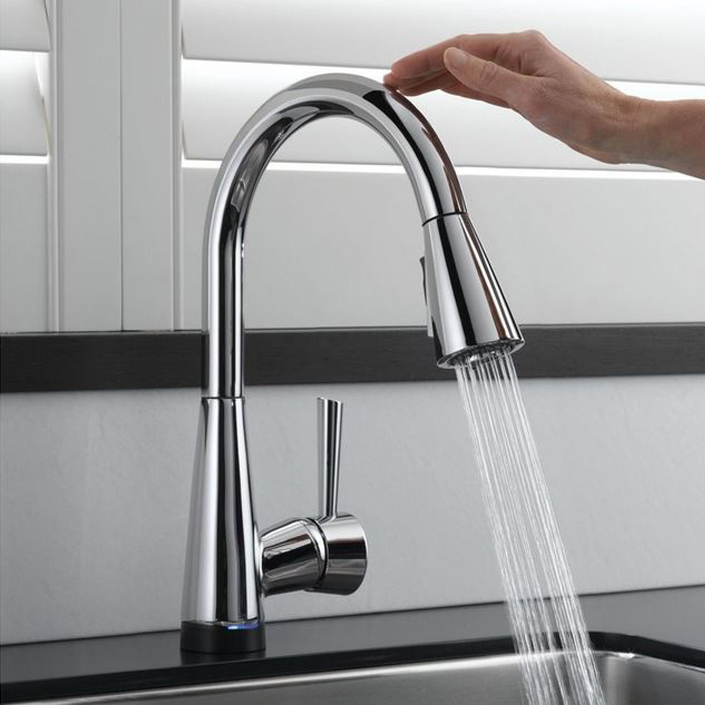 Decorative elements like hardware and faucets can really change the tone and overall style of a kitchen. 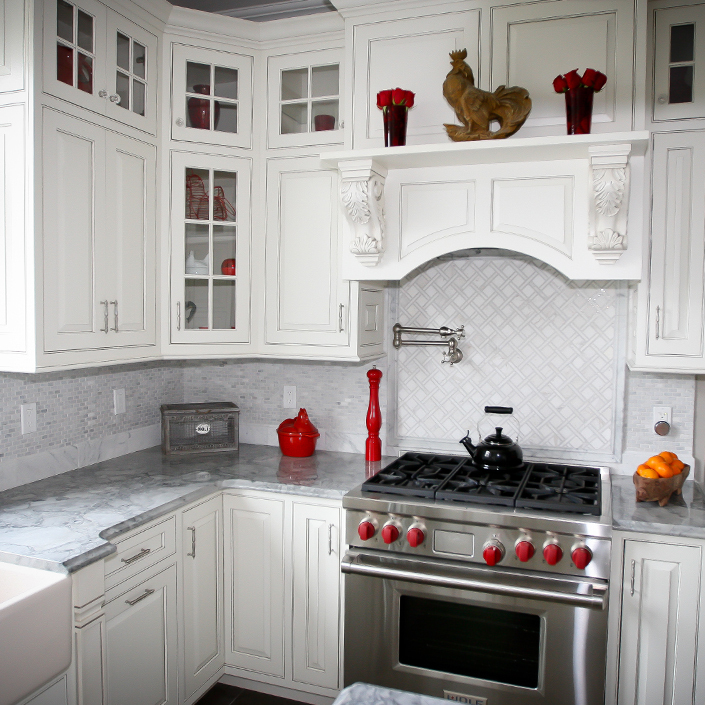 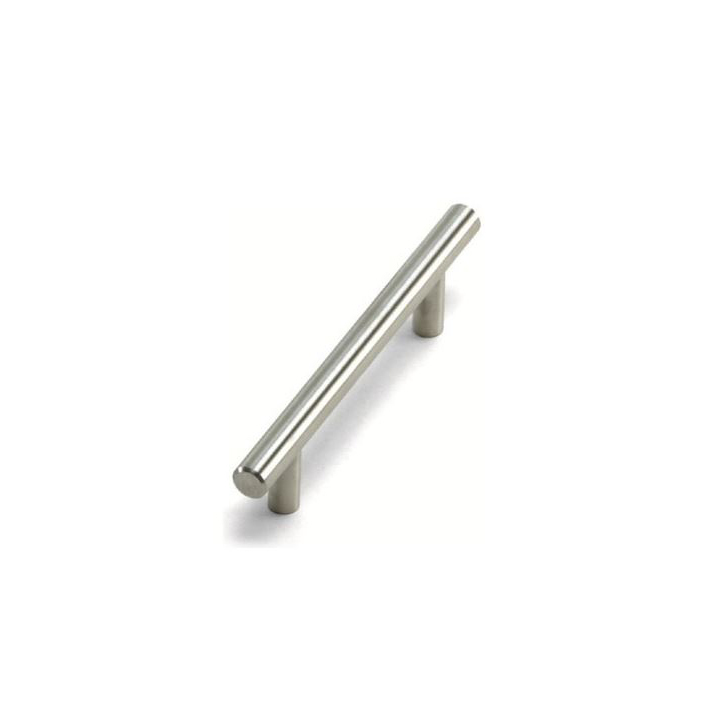 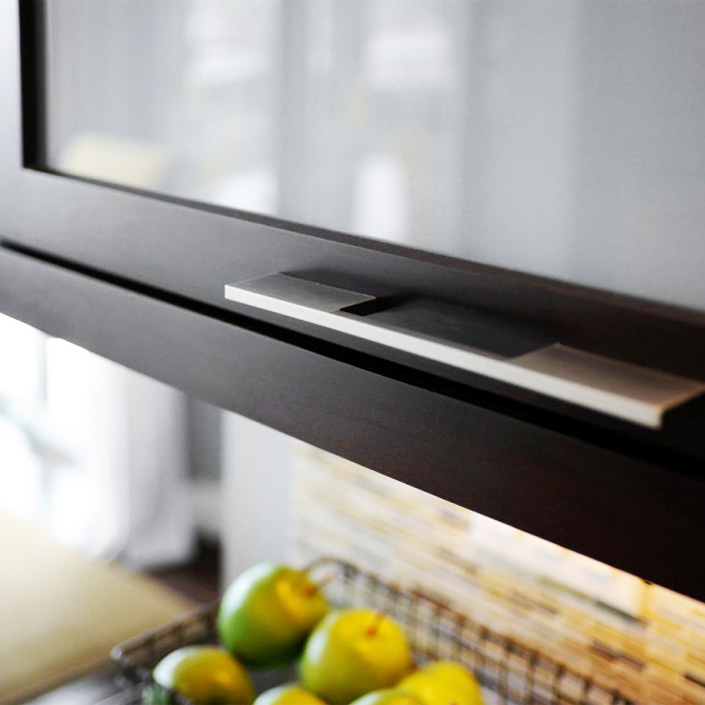 Cabinet hardware is often referred to as the jewellery of the kitchen, and just like with a fashionalble outfit, it can truly alter the overall look of your space. 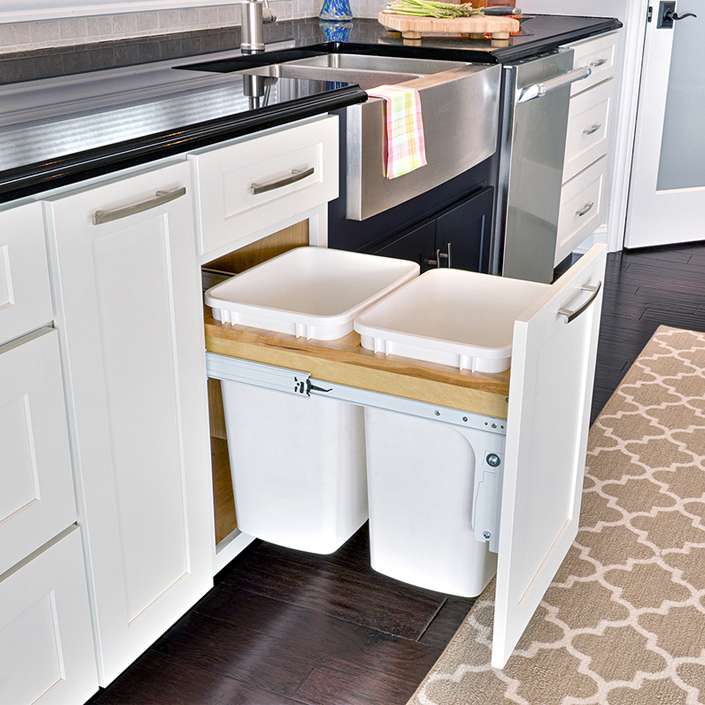 Out with the cleaning supplies and in with the recycling bins. 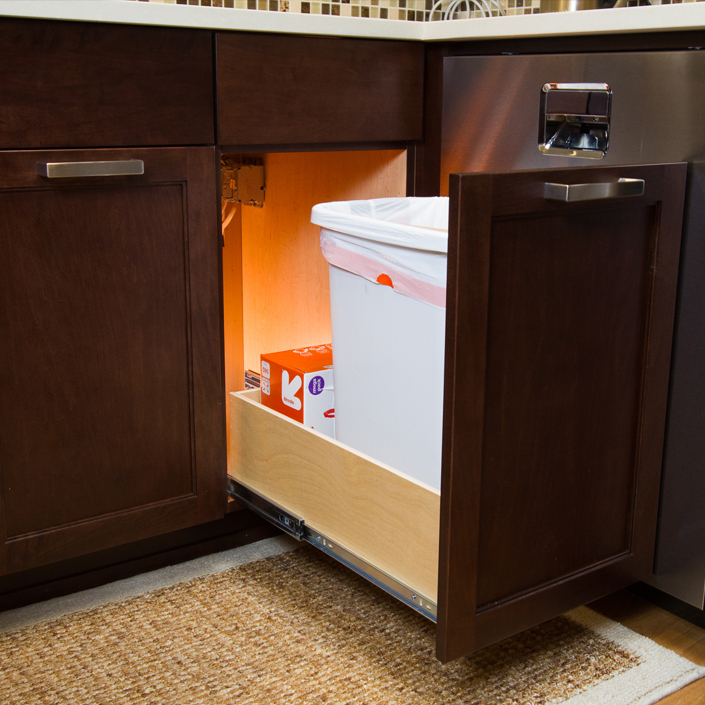 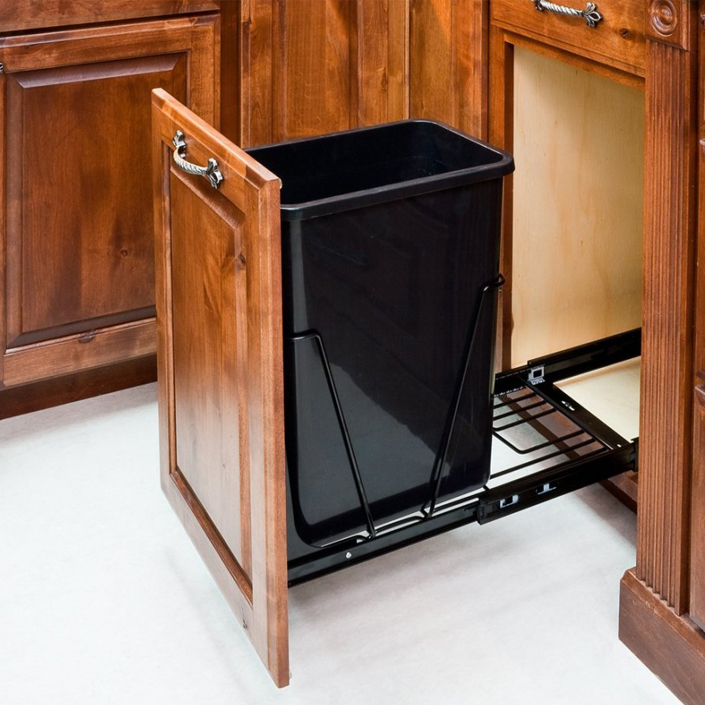 Because of the convenient under-the-sink location of these pull-out containers, it’s the perfect solution: easy access without the eyesore. 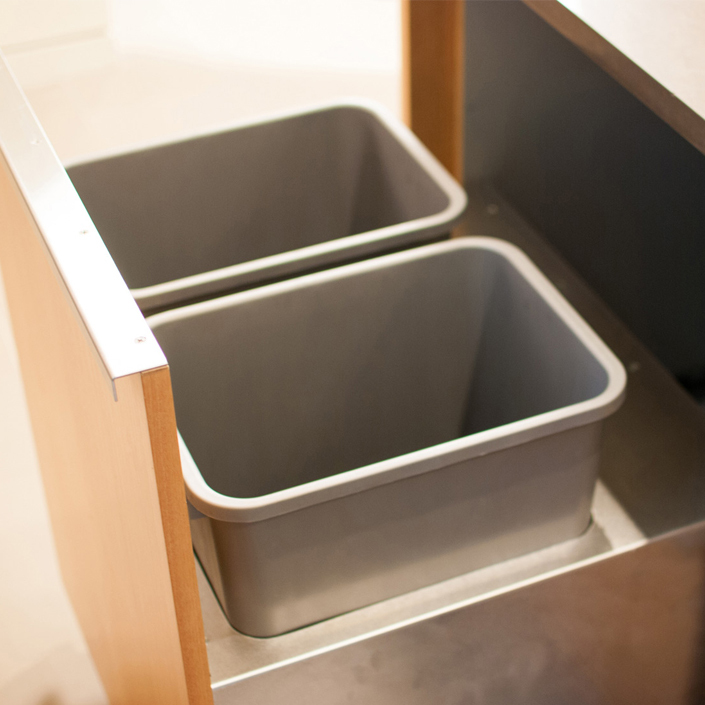 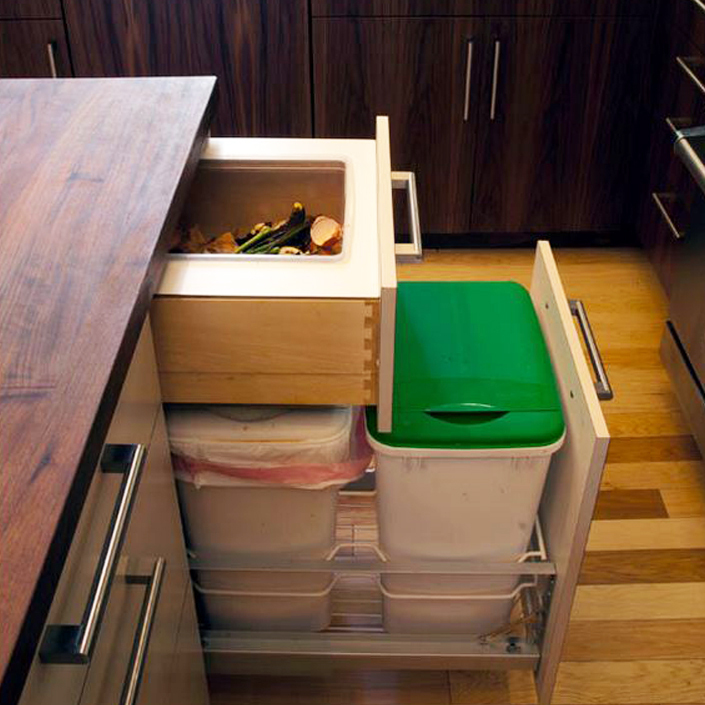 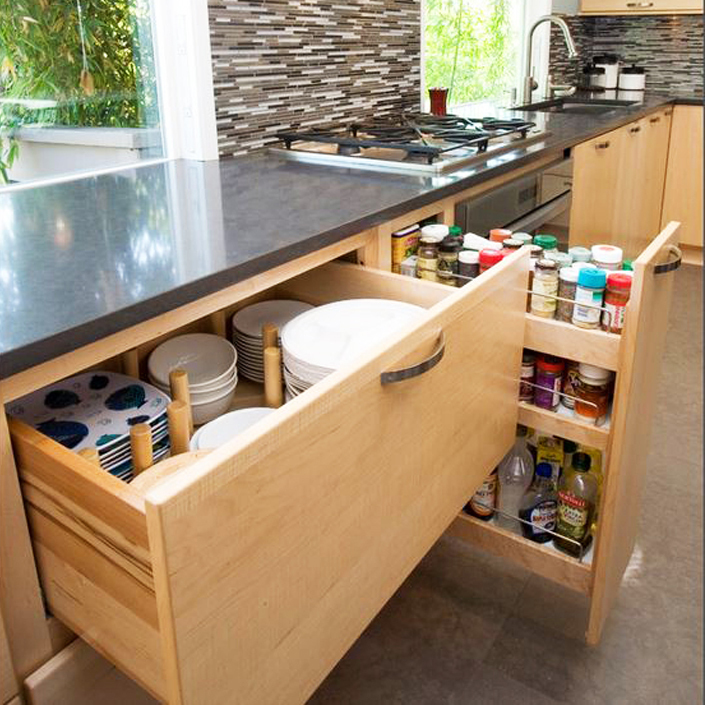 For those with an oversize drawer to spare, the all-in-one containers will help you fill that space. 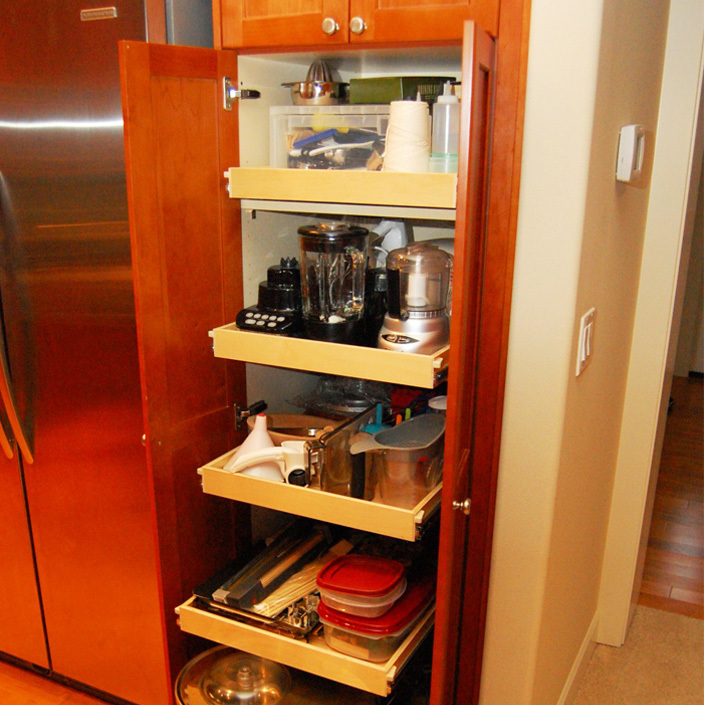 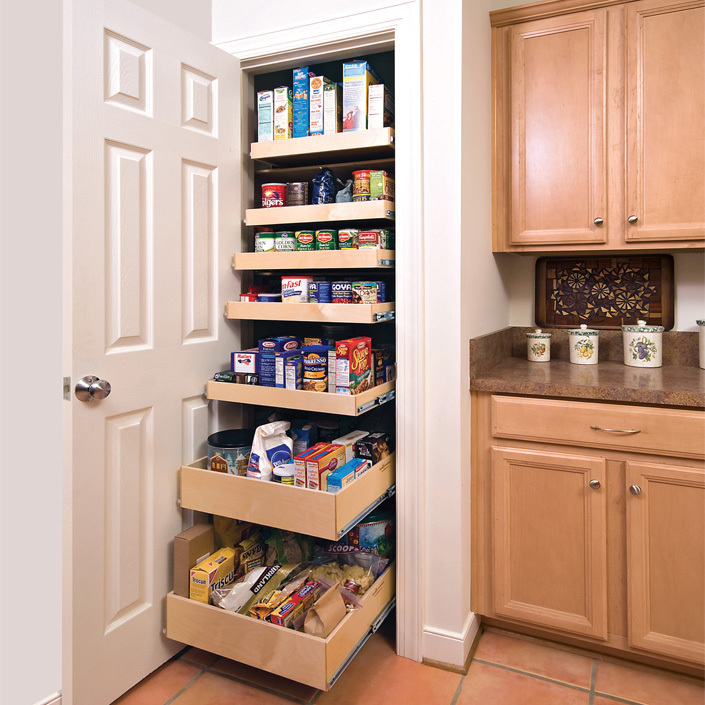 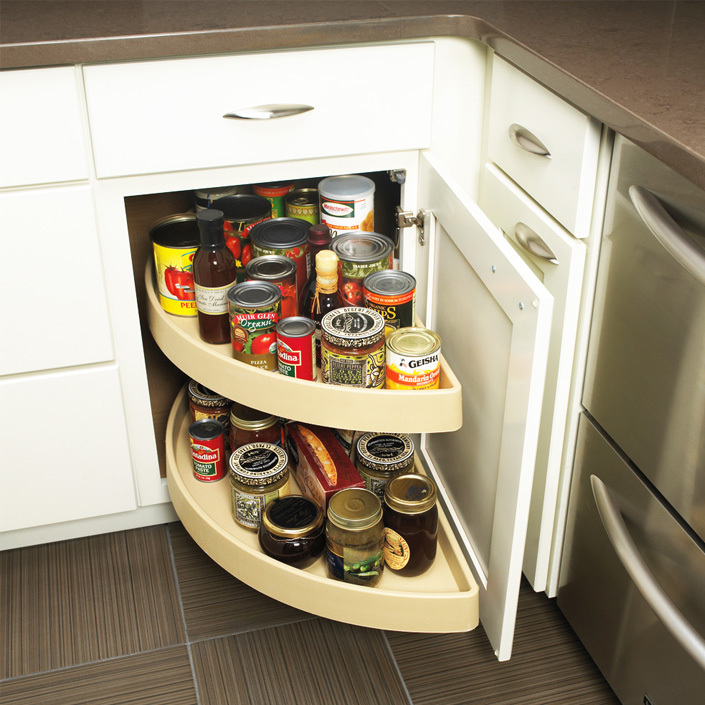 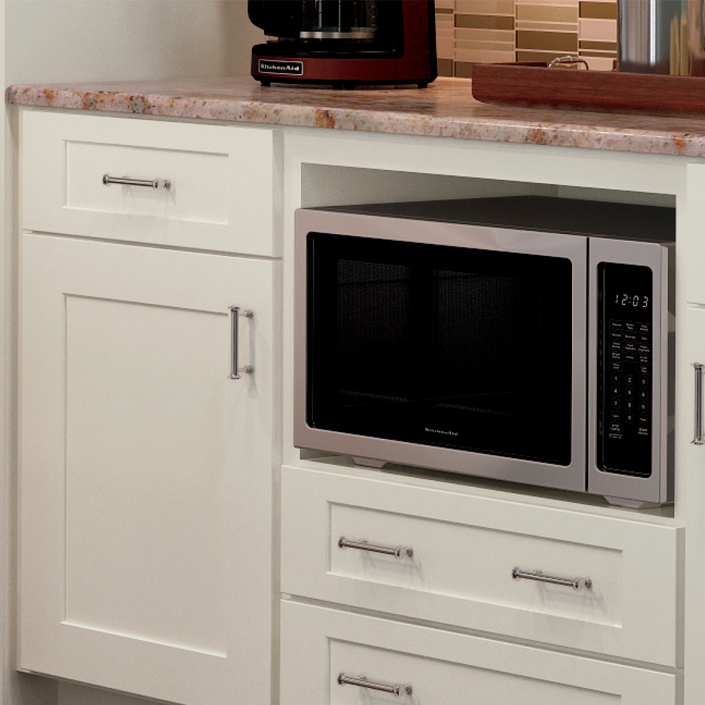 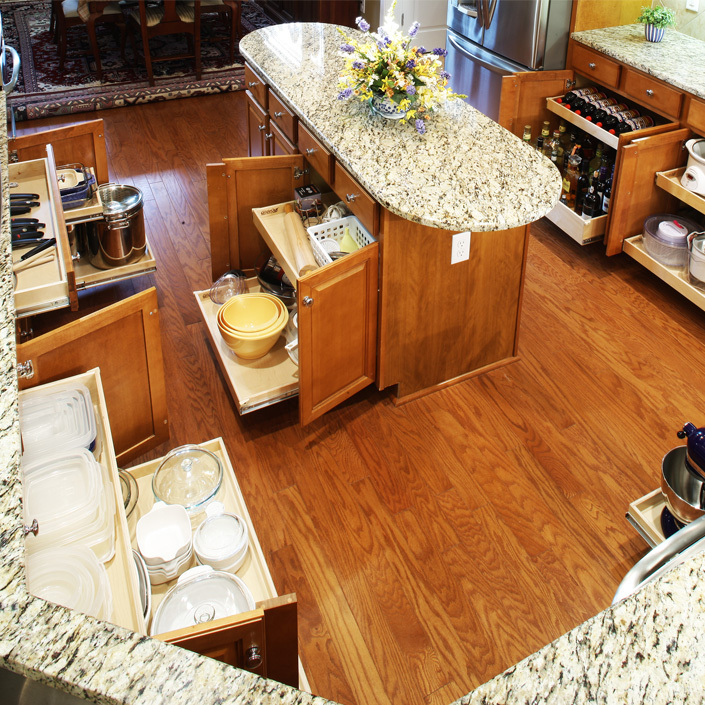 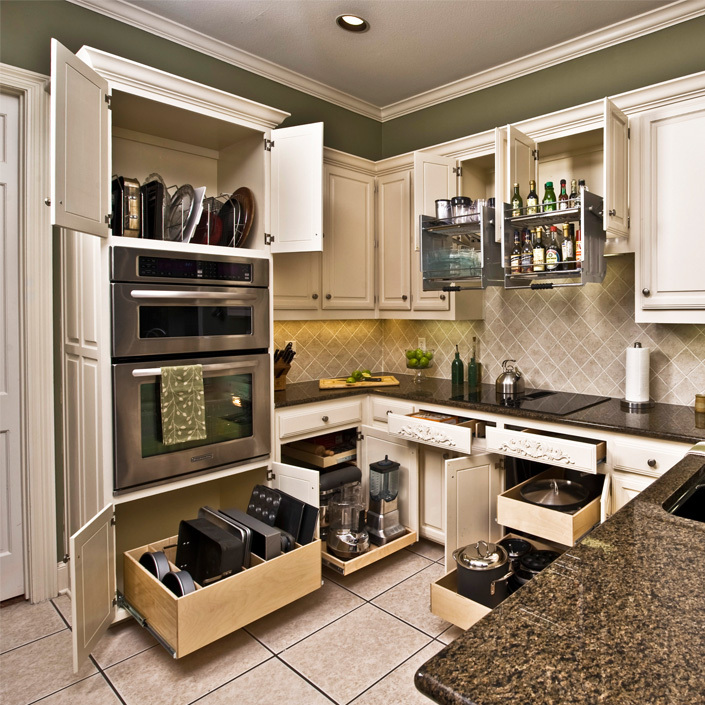 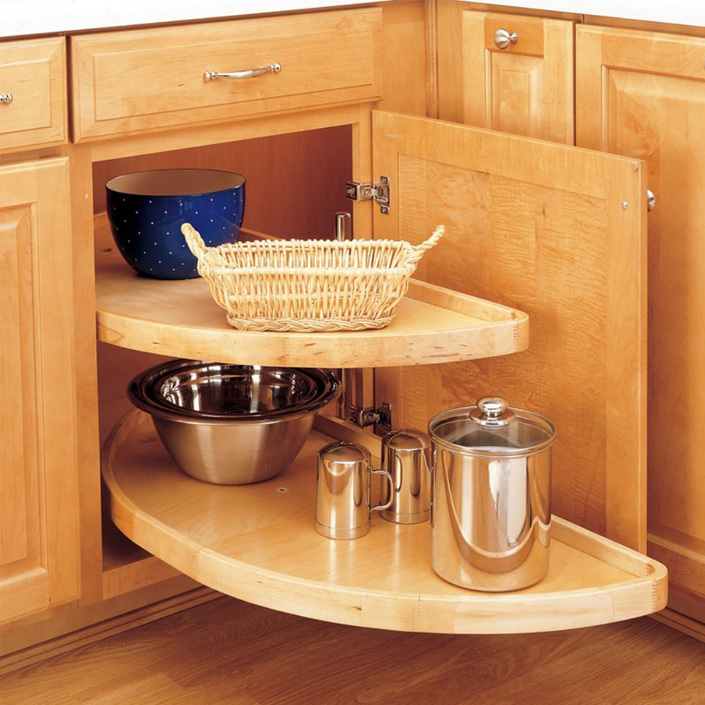 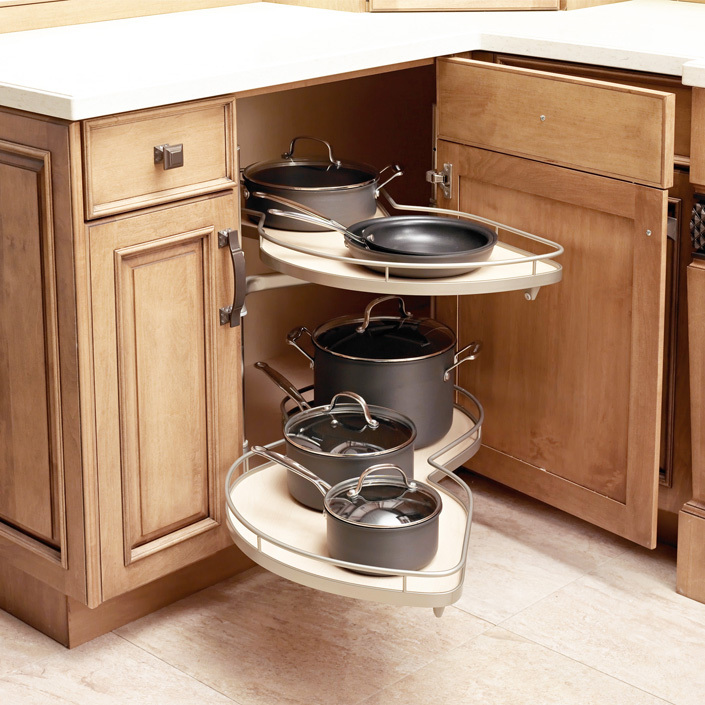 Pull-out pantries offer the convenience of bringing the stored items into view and closer to hand. 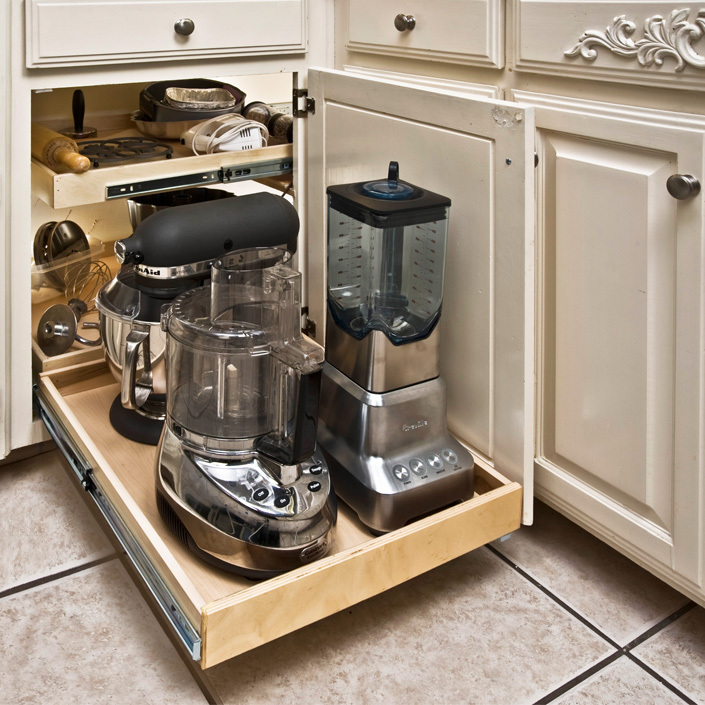 Roll-out trays are much easier to access and bring the contents to you, rather than forcing you to bend down and reach into a dark cabinet. 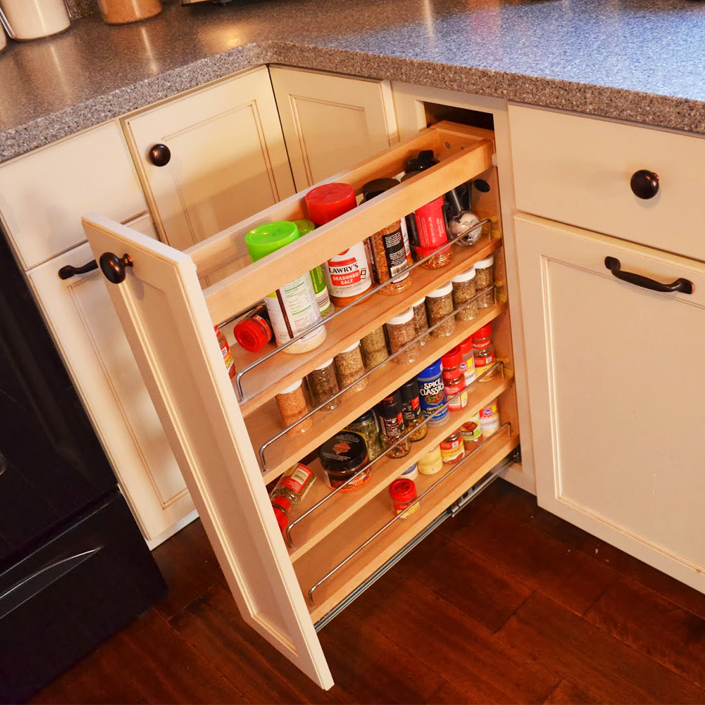 It is important to make sure that the door is fully open before pulling out the shelves to avoid accidentally scraping the inside of the door. 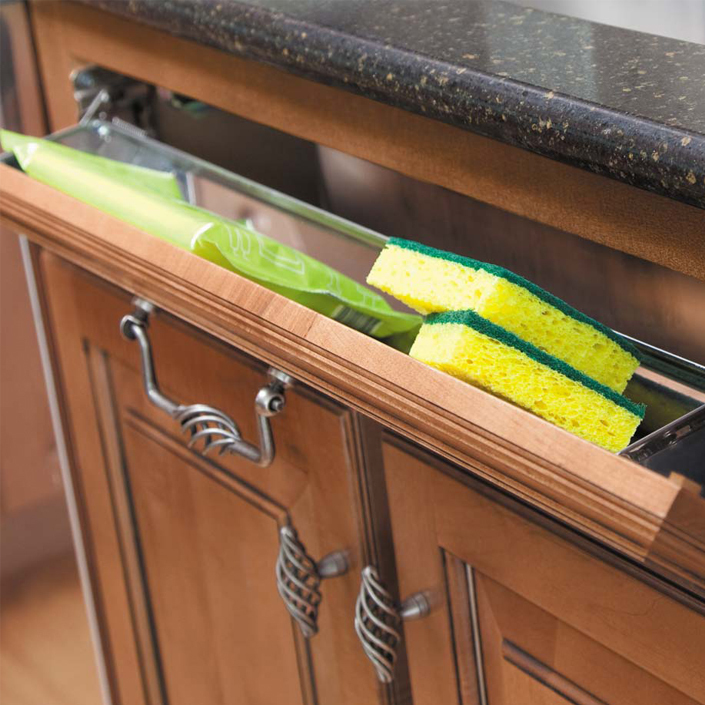 This bank of drawers is specially designed for both flatware and dishware using a traditional plate rack. 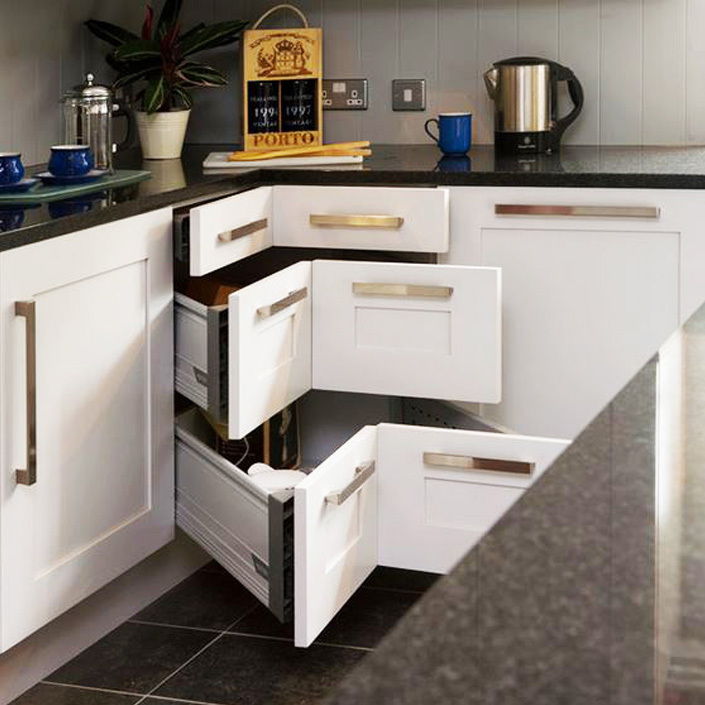 They allow the heavier items to be stored within reach and offer the flexibility of rearranging items to suit your needs. 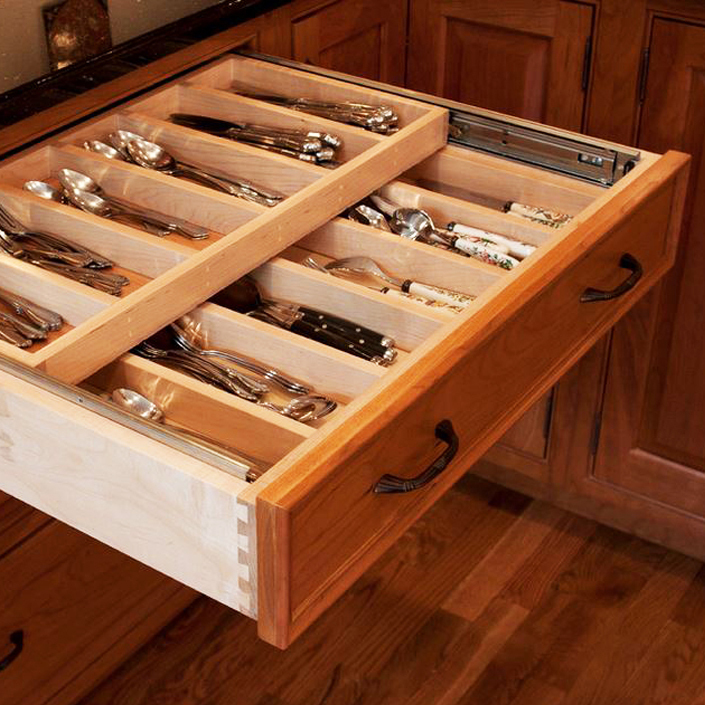 Today, the possibilities for drawer styles and accessories are boundless and could be called jewellery for your drawers. 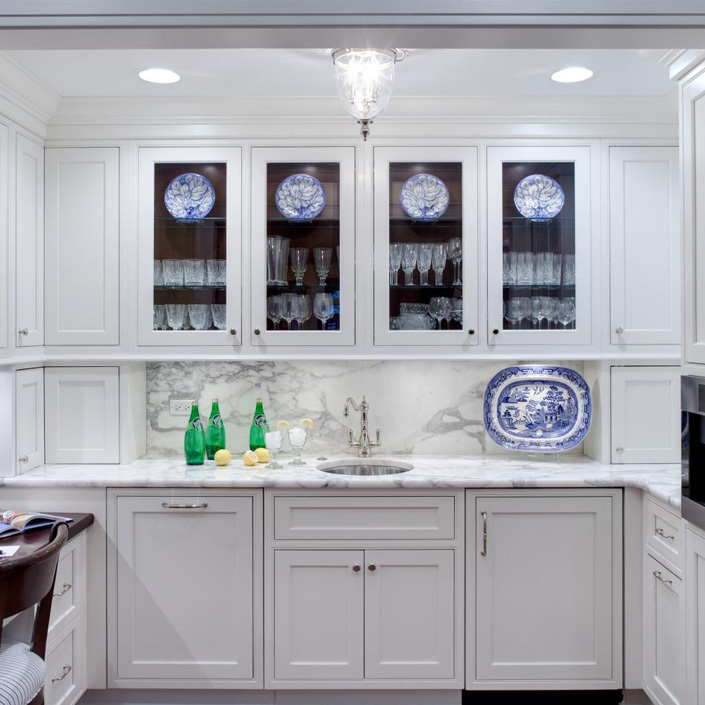 In kitchen remodels, there’s a lot of focus on what’s seen on the surface but it’s often the more subtle gestures that will make your space truly functional and efficient.